Decorating candles with ribbon is probably the easiest way to make pretty decorated candles for your home decor! These ribbon candles are good for more than just light and scent, super adorable and a great way to express your creativity, on the budget! I am so in love with these little decorated candles! They are so pretty and cute and breathe freshness into my home decor without breaking the bank! Such a simple way to jazz up boring candles! 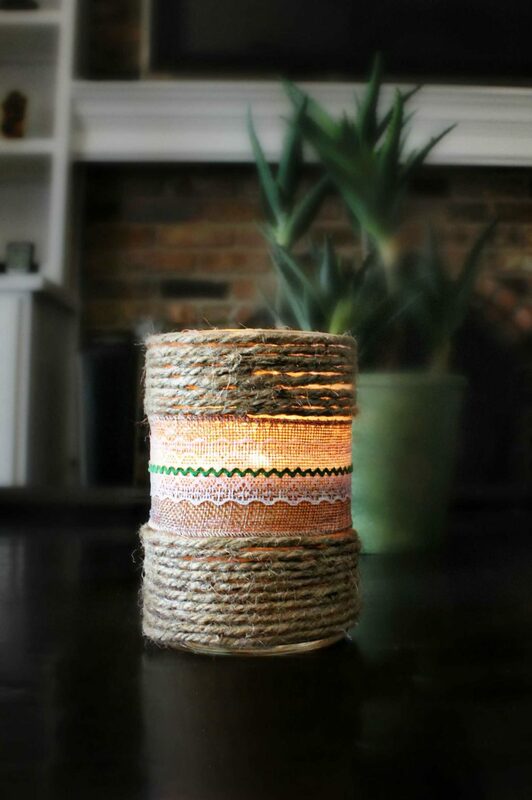 These irresistible creative candle holders add a rustic touch to a home decor, are inexpensive but elegant and very impressive. Making your own decorated candles is a great idea for all kinds of occasions, from weddings to birthdays, holidays or outdoors parties. You can use any kind of candles that come with a holder; as long as you keep the cost at minimum as I did with these decorated candles, you’re good to go with pretty much any candle. 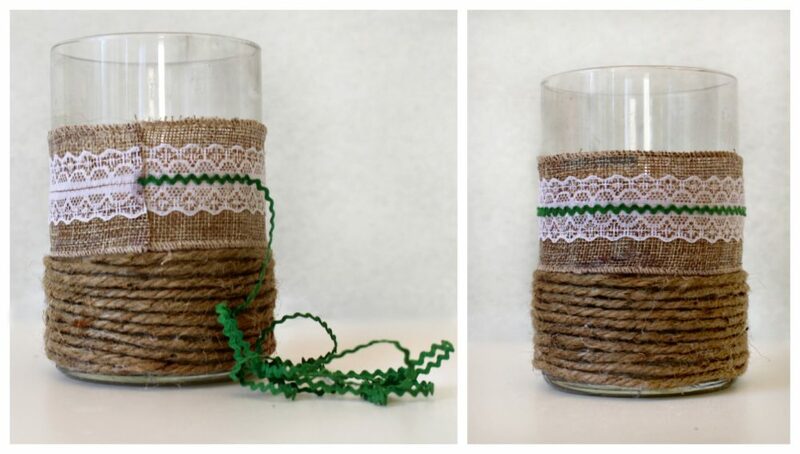 Great accent to any room, these ribbon candles are easy to personalize and will help you create a warm, cozy home decor in just a few minutes! Candles are so romantic, and these decorated candles are perfect for dressing up your home! 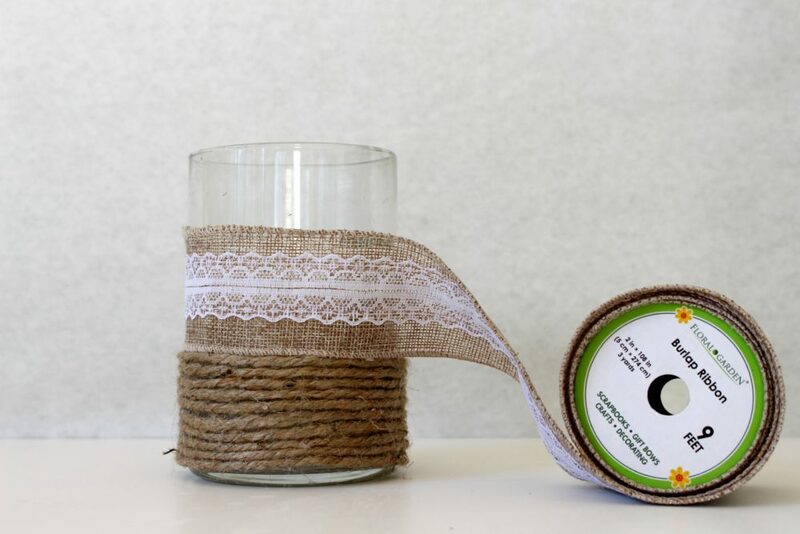 Decorative burlap ribbon 2” – 3” wide with a lace strip in the center. 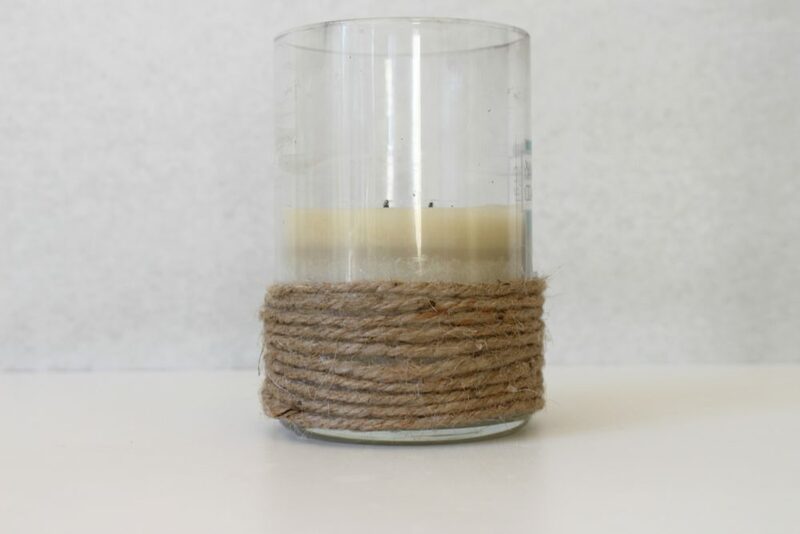 Start at the very bottom, outside edge of the candle and use the glue gun to apply a row of twine. 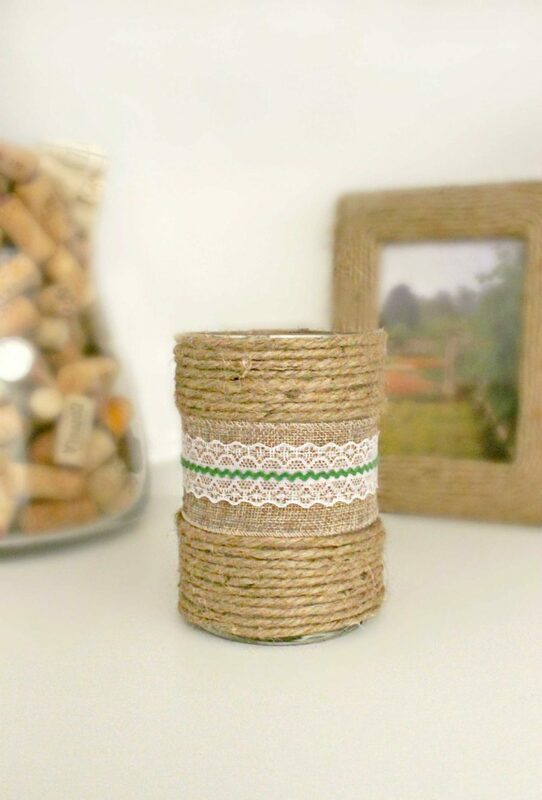 Continue wrapping the twine and gluing it to the jar in even rows. 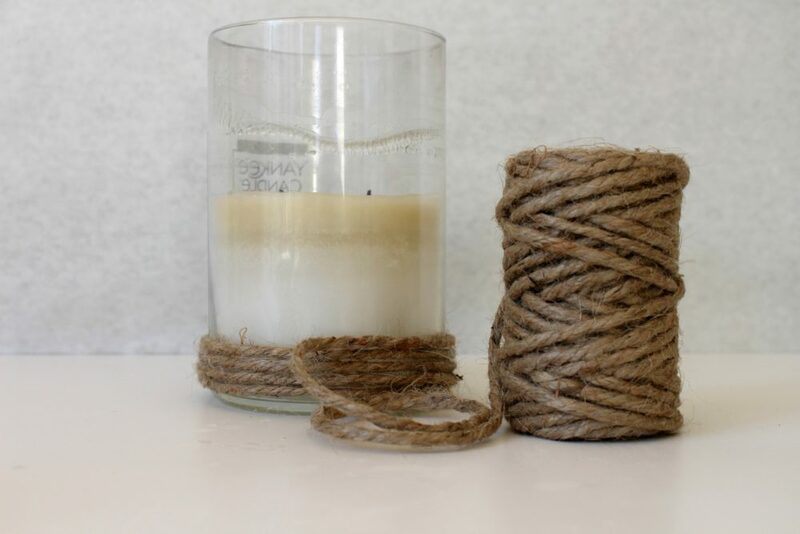 Once you get a little more than halfway up the candle, snip the twine and securely glue the end down on the twine and jar. 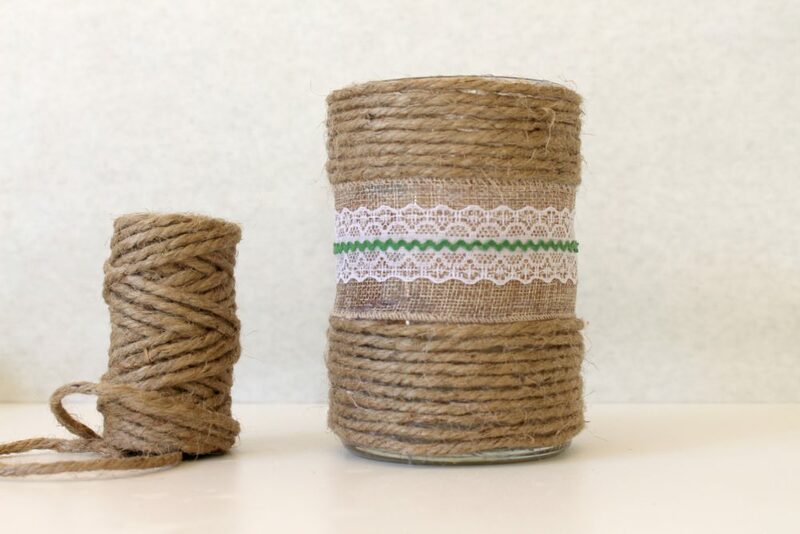 Wrap the burlap ribbon around the jar and carefully trim it to a little longer than the circumference of the jar. 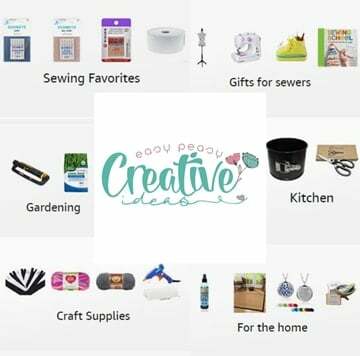 Use the glue gun to secure the top and bottom of the ribbon around the jar making sure that it is adhered in a straight line. When you get to the opposite end, trim any excess and glue both ends down together. 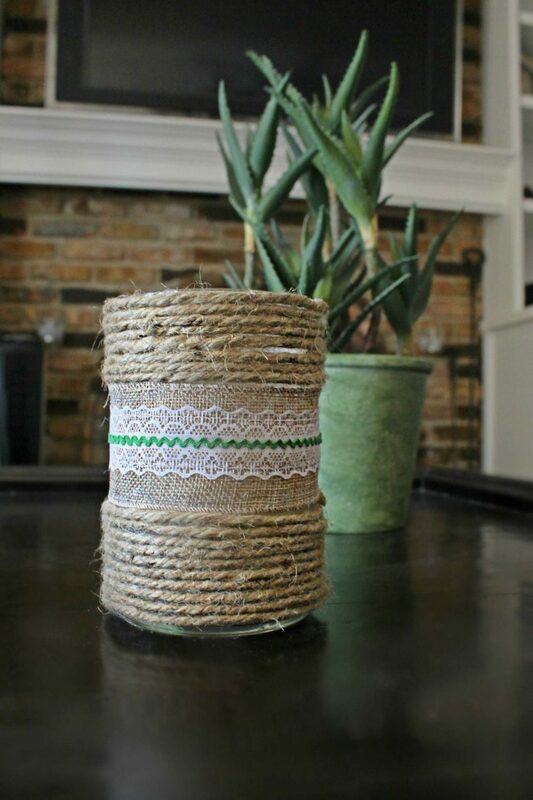 Take the ric rack and glue it to the center of the lace that is inside the burlap ribbon. Continue wrapping the rest of the candle and stop at the top, outside edge.